Philadelphia Flyers coach Dave Hakstol isn’t making any apologies for his lack of NHL experience. Hakstol has spent 11 seasons coaching North Dakota, helping the collegiate powerhouse reach the Frozen Four on seven occasions – including last season’s semifinal appearance. The 47-year-old is also a two-time National Collegiate Hockey Conference coach of the year winner and an eight-time finalist for national coach of the year. As for the NHL, Hakstol isn’t avoiding the elephant in the room as he is the first coach since Bob Johnson (1982) to leap directly from college hockey into his first job in the league. 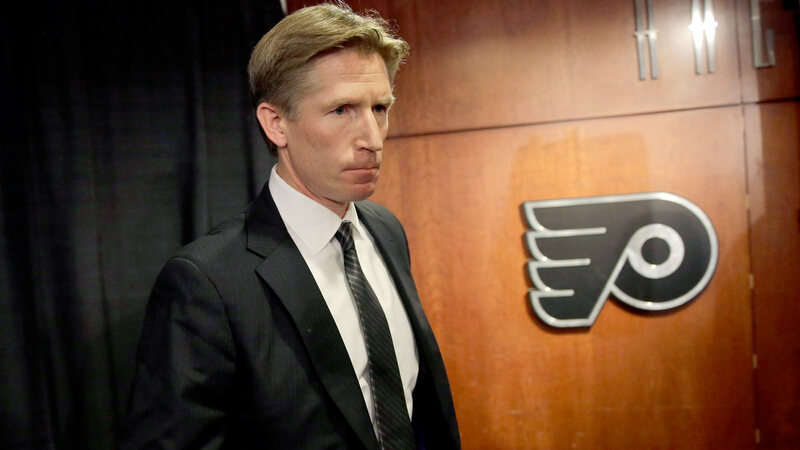 "I don’t have experience at this level, so I’m not going to pretend that I do," Hakstol told the team’s website. "But I do have a great deal of confidence in what we do, in what my philosophies are and that they’re going to be successful here." Hakstol is the 19th coach in Flyers’ history, replacing Craig Berube after the club finished 33-31-18 to end up in sixth place in the Metropolitan Division.